CTG are Australian and New Zealand distributors of Fluitec Electrophysical Separation Process (ESP) units. You can have clean oil and a varnish-free system and once ESP restores your oil, the fluid will begin removing the varnish that’s already been collecting in your system. With the superior ability to remove soluble varnish, ESP offers excellent advantages and results over depth media, electrostatic oil cleaners and charged agglomeration. Bearings, gears and valves that have a damaging layer of varnish are returned to clean condition, eliminating unplanned outages and improving your plant’s reliability. 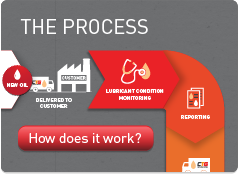 ESP will give new life to your lubricants and long life to your machinery. Rental and Purchase options available – contact CTG for more information. CTG offer oil varnish forming contaminant detection and removal, a solution to your oil varnish that is recommended by Siemens.